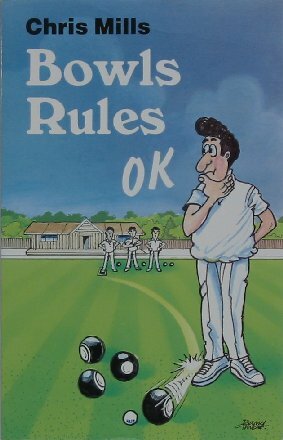 If you've arrived at this page seeking information on bowls rules, ie laws, please point your cursor at 'Laws and Rules' in the horizontal menu and then select the codes that interest you from the drop-down menu. Synopsis What's a live bowl, a dead bowl, a toucher, or a non-toucher? What's bowls etiquette? How and why are bowls officially stamped? What are the duties of umpires, markers and skips? In Bowls Rules OK, Chris Mills, editor of the best-selling Bowls International magazine, looks carefully at the laws of the flat green game and provides the answers to all those questions that puzzle bowls enthusiasts. His explanations are amusingly illustrated with Barry Gurbutt's lively drawings.